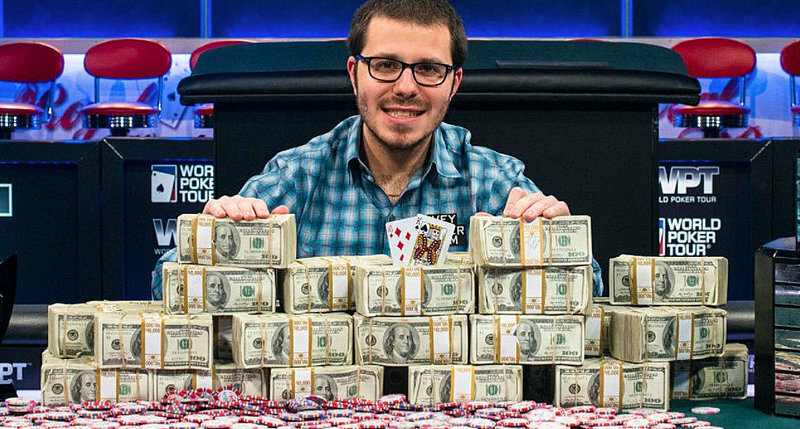 Dan Smith has won the 2017 Five Diamond World Poker Classic $100,000 buy-in super high roller event at the Bellagio, defeating a field of 39 entries to capture the title and the $1,404,000 first-place prize. Smith is no stranger to success at the Bellagio, having won the World Poker Tour Five Diamond World Poker Classic $10,300 no-limit hold’em main event back in 2013 for his only WPT main tour victory. With this latest win, Smith increased his career live tournament earnings to $19,207,368 and moved into 14th place on the all-time money list, surpassing David Peters ($18,722,250) and Jason Mercier	($18,429,151). While this win was certainly important to Smith’s career-long stats, it also helped his standing in the 2017 Card Player Player of the Year race presented by the Commerce Casino & Hotel. This was Smith’s fourth title and 14th final table finish of the year. The 600 POY points he earned were enough to see him climb into 12th place in the overall rankings, with 4,274 total points and year-to-date earnings of $3,915,694. Spain’s Sergio Aido was the next player eliminated, earning $312,000 and 250 points just a few days after winning the $10,000 high roller event at this series for $128,800 and 240 points. Isaac Haxton hit the rail in fourth place, earning $390,000 and 300 points. Like Aido, Haxton was also fresh off a big score. He had finished second in a $25,000 high roller for $271,050 and 350 points. Holy moly!!! Dan Smith AA all in against Schillhabel JT flop JTT!!!!! Heads up now guaranteed $936k playing for the title and $1.4 mill! After winning that exciting hand Smith took approximately 3.2 million chips into heads-up play with Negreanu, who had 2.6 million. Negreanu was ultimately eliminated when he got all-in on a J-T-4 flop with Q-10, only to lose to Smith’s A-K when a queen hit the river to give Smith the Broadway straight. Negreanu earned $936,000 and 500 points for his runner-up showing. This latest score brought the Canadian poker legend’s live tournament earnings to $34,151,327. As a result, Negreanu leapfrogged Erik Seidel ($33,254,397) to retake the lead on the all-time money list.